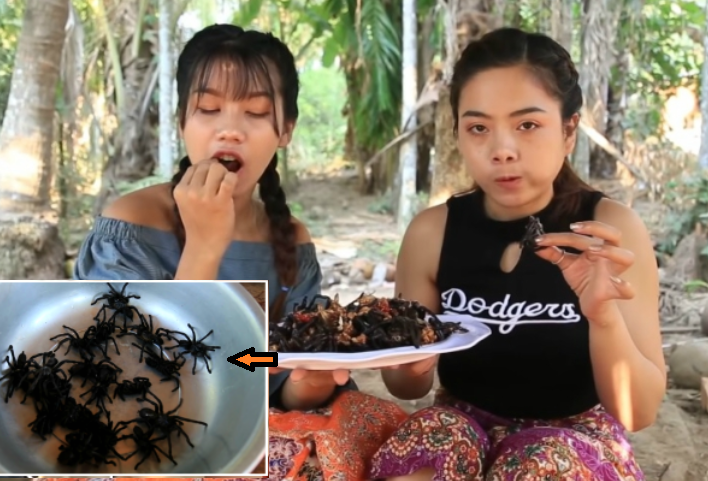 This Cambodian women enjoys drinking a can of beer with their casual appetizer, a crispy black tarantulas. 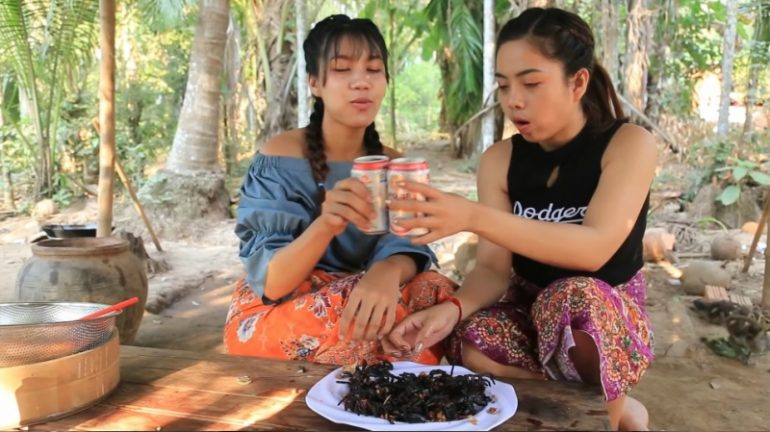 The video of the two chicks went viral in YouTube for their kind of bonding with a can of beer and those huge number of tarantulas deep-fried in a cooking oil before they share together. 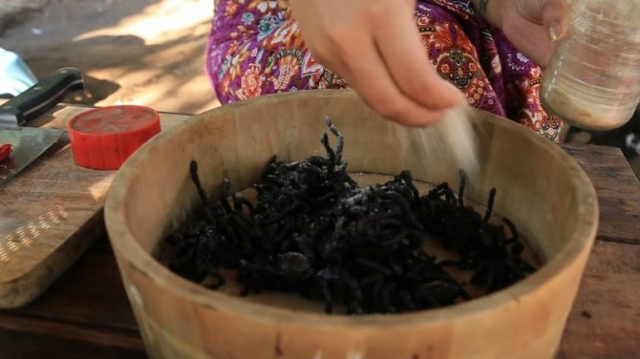 Seasoned with few ingredients for flavors, they managed to cook the tarantula recipe, which some viewers claim tastes like crabs. The girls can be seen preparing the new harvest tarantulas soak in water with salt. 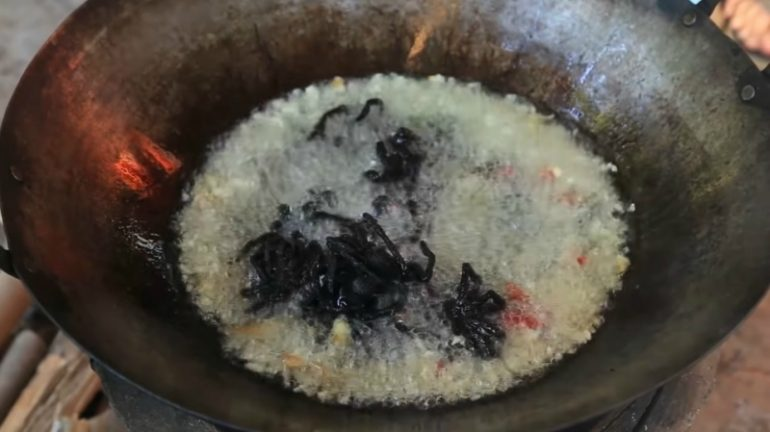 They dropped the tarantula with garlic and chili pepper in hot cooking oil. And they started to snack with a can of beer. 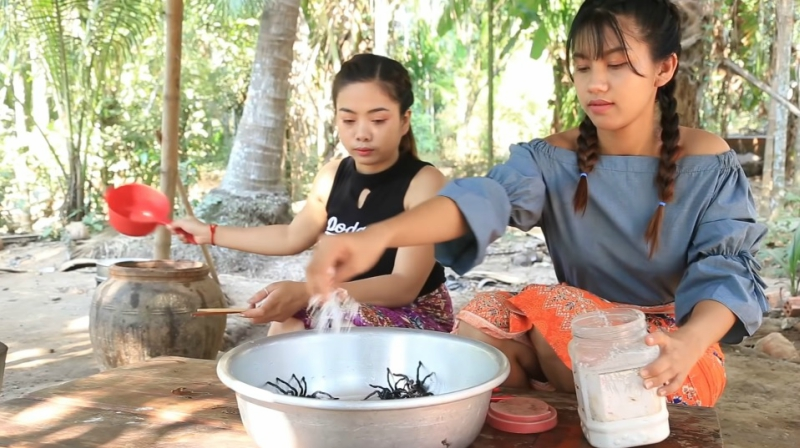 The video is came from Natural Life TV showing the girls collections of primitive cooking and forest lifestyle.